Salmon season is upon us, and for the next couple of weeks our intrepid fish friends will be making their annual voyage upstream. It’s mesmerizing to watch as they leap out of the water, and definitely worth a trip to one of our popular public parks. Tumwater Falls Park – Tucked away from the traffic and noise right off the freeway, this idyllic park is a local favorite. 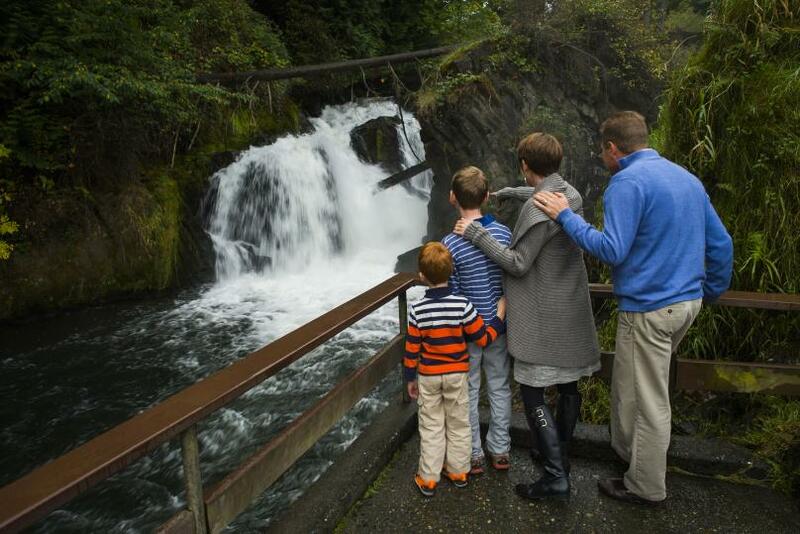 View the salmon jumping up stream at one of the gorgeous waterfalls and at one of several fish holding pools onsite. With a half mile hiking trail and a playground for the kids, you can spend a whole afternoon enjoying the decidedly different splendor. 5th Avenue Dam Fish Ladder at Heritage Park – Not only is this a terrific spot to view the salmon, but you also have excellent views of the Washington State Capitol building (to the North across Capitol Lake) and the Olympic Mountain Range (to the South out across the Puget Sound). To get to the dam, simply walk along the park path up 5th Avenue from the parking lot on Water Street. When you want a quick break from watching the salmon jump, take a stroll around the lake or walk into downtown for a bit of shopping. Did you take a selfie with the Fish? Did you post the perfect video of the Salmon jumping upstream? Tag your social posts #DecidedlyDifferent and connect with us on Facebook, Twitter (@Experience_Oly) and Instagram (@ExperienceOly).